Mobile app install campaigns are like carefully tuned machines: every part needs optimization to prevent an explosion (in your ad budget, of course). From compiling the creatives to interpreting analytics into actionable insights, you’ve got to get it all right to succeed. We put together a list of seven tips, from the start of a campaign to the last detail, that may be handy for marketers to keep everything running smoothly. Ad text is great for A/B testing. Words are cheaper and easier to change than any other part of an ad. Build a vocabulary from what works for you: product marketers, for instance, impart urgency with words like “now”, “hurry”, and “quick”. Tenjin’s keywords analytics feature is great for tracking the clicks, installs and ROI of specific words. Creatives benefit from the same testing, as well as the use of tools like Sensor Tower, which can help keep you up to date on your competitors’ creatives. Tools like Facebook Audience Insights and Google Analytics help you create ads based on the habits and preferences of your core demographic. For example, the bridal destination Bridestory chose Instagram as an ad platform after learning about their audience’s preferences for visual content, with creatives based on knowledge of their target’s likes. Through demographic research, the company was able to lower CPI by 50% versus other channels. Good app install marketers aren’t obsessed solely with high conversion rates: installs mean nothing if users immediately churn. Marketers should study user analytics to determine which ad networks offer users that engage in post-install activities, such as spending in-app or interacting with ads, and balance this engagement against CPI. Letting your CPI creep above the lifetime value of users is as good as burning money. Unless you’re the Joker, you should make sure that you’re calculating LTV conservatively -- a subject we recently covered. Since LTV can be difficult to accurately estimate, most marketers calculate it for a period of time a user definitely had the app, such as 30 days or 180 days. On decently-performing app listings, about 60% of users decide to install at first glance. Less is an emergency; more is a major competitive advantage. Think of it this way: if a user who liked your ad enough to click it bails out at your store listing, you’re losing as much (or more) money as if they never clicked at all. To improve, you can try Google Experiments, or use paid tools like StoreMaven or Splitmetrics to optimize vital assets like your icon and first screenshot. Today’s consumers can jump from social to website to app store in their quest for more information, before downloading an app or making a purchase. Your budget shouldn’t just go to the first or last point of contact. Multi-touch attribution determines the value of each network, which helps marketers determine how to allocate future spend. Finally, a peek into the future: “rich media ads” are a format that includes video, audio, or other elements that persuade viewers to interact with content. While some marketers have been talking about rich media for years, mobile is increasing the likelihood that rich media will actually succeed. For example, clothing brand Macy’s reported a 134% increase in purchase intent by letting consumers browse products and locate stores within the ad. 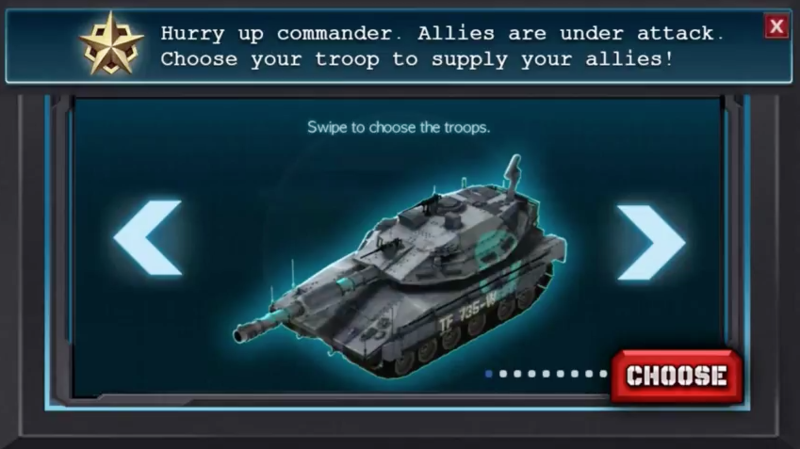 We’ve also spotted game leader Machine Zone using these ads for Mobile Strike. As always, it’s worth experimenting with innovative new networks and formats -- you never know when you’ll find a gold mine. At every step of your campaign, you’ll need attribution, tracking and A/B testing for visibility into what is and isn’t working. With Tenjin, you can see ROI, LTV, and CPI effortlessly, no matter how many ad networks or channels you’re using. For more information, reach out to info@tenjin.io for more details.